I just flashed on a “what if.” What if one of us gets Alzheimer’s? We have a friend who was paying $8,000 a month for her mother’s care in a memory care unit. Even in some foreign countries, the cost can be $3,000 a month. I have not factored that into my retirement budget. 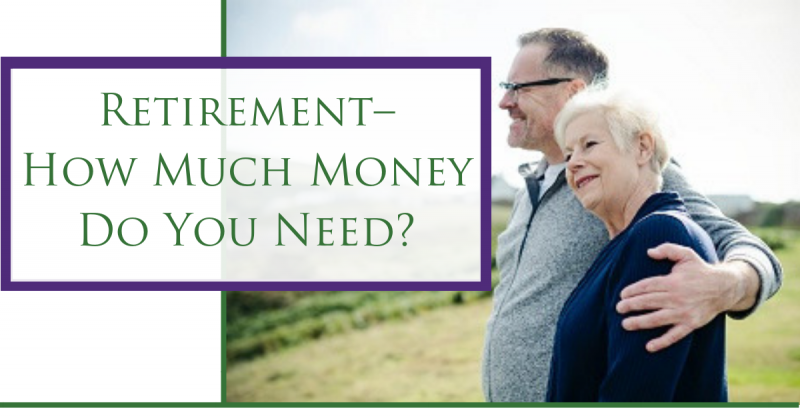 To make sure you’ll have enough money to live on during your golden years, it’s important to figure out how much money you need to retire. This can be more complicated than it seems because there are different theories and formulas. Once you have this number, you’ll consider all of your sources of retirement income to make sure expected income matches expected outflow. If it doesn’t, you’ll need to adjust your expectations and scale down your expenses or — if you still can — find ways to increase the income available to you in retirement. you may want to create a sample budget for how you’ll live as a retiree. Of course, the closer you are to retirement, the easier that is to do. The big unknown is inflation. If you are 50 years old now, and rent increases at 5% a year, rent will double about every 14 years. Rent now at $1000 a month could be 2000 in 14 years when you are 64 and will double again in another 14 years to $4,000 a month when you are 78. That’s pretty tough to deal with on a fixed income. The biggest threat to your retiree lifestyle is debt. You may be earning half your income when you were working, but your debt payments are the same. That puts you at risk financially. We recommend getting out of debt. That may mean you either downsize or sell your house.